Today is the deadline for filling out the 2016 census, and Canadians aren’t any less excited than they were when the forms first began arriving in the mail at the beginning of the month. 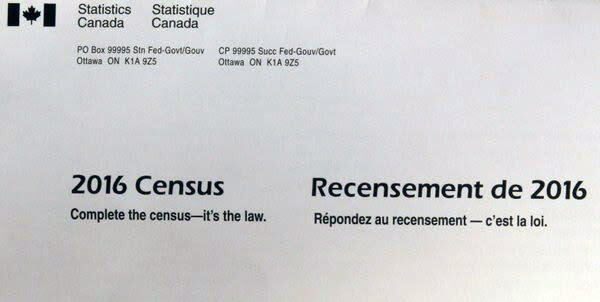 The hashtag #CensusDay began trending on Twitter on Monday night as Canadians who hadn’t filled out the form right away got caught up. It’s the latest sign of the excitement at the return of the long-form census, which had been changed to a voluntary census under the previous Conservative government. When 2016 census forms were sent out on May 2, Canadians began posting census selfies online when they’d completed the form. They openly celebrated their nerdy excitement about filling out a form for the government. And they shared their jealousy towards those who lucked out and got the long-form census, which asks a lot more questions and takes a lot more time to fill out. Many have pointed out that our excitement at filling out a government form may be uniquely Canadian. Just called someone for an interview. Of course, if you’re as much of a census nerd as the rest of the country, having someone show up at your door to make you fill out your forms may not be a deterrent to waiting. Statistics Canada is all in on the excitement, even suggesting Canadians throw a party when they finish up with their forms. At this point, such a thing might not be surprising.